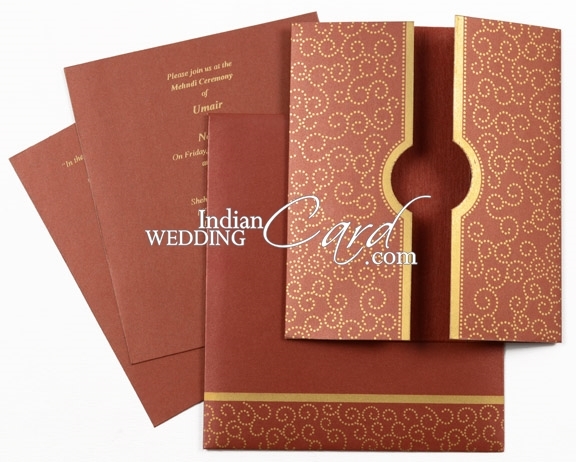 Paper: Maroon color shimmery paper for card & 2 inserts (each 250gsm) and envelope (120gsm) with matching translucent wooly paper for pocket. 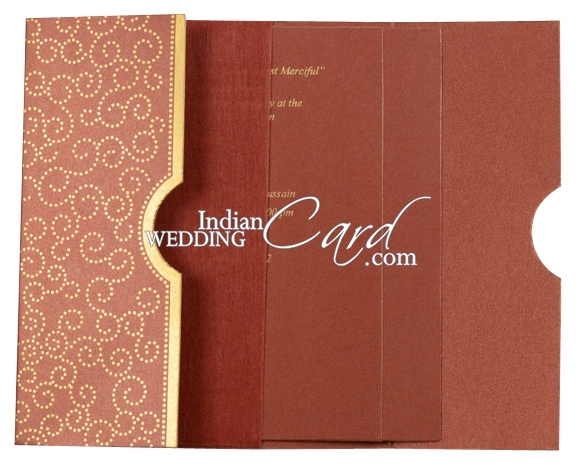 Description: The front of this Door open style card has design printed in Gold to make a central circle and pathway as well as making way for pocket to be seen from front and thereby giving a designer look. The central circle can be customized with initials or logo of your choice. The wooly pocket on the inside holds the 2 inserts. 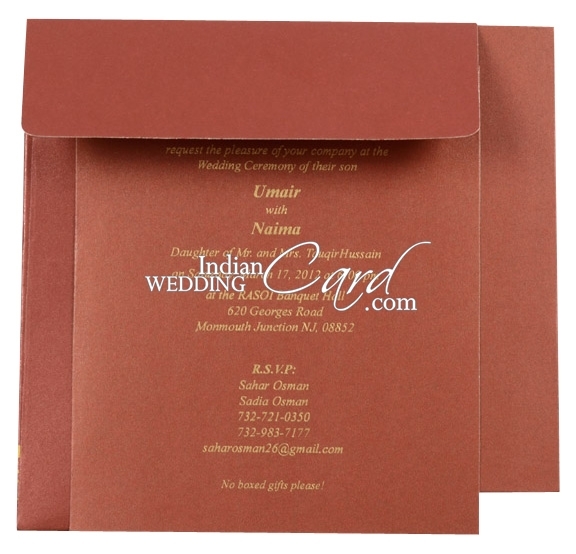 Envelope also has border at the bottom. My package has been received. Thank you for all your work, they are perfect! Thank you SO MUCH for having my shipment processed as a rush order. I am very impressed at how efficient your company is and would HIGHLY recommend your company to ALL of my friends and acquitances for their future weddings and events. 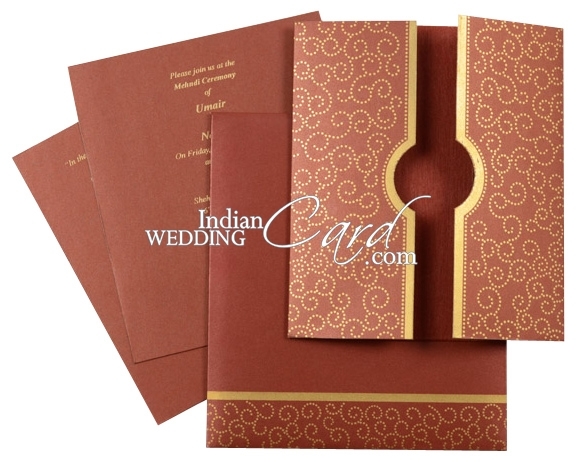 I am excited to recieve my invites and will let you know when they arrive. The invitations arrived and look perfect! Thank you. We received the package containing our order yesterday. We had verified the quantity and found it to be correct.We would like to thank you for such a wonderful work. The invitations have come out more than our expectations. The material of the velveted cloth, the scroll threads were really good. More than all, we are much impressed about the speedy delivery. Thanks a ton to ur services.